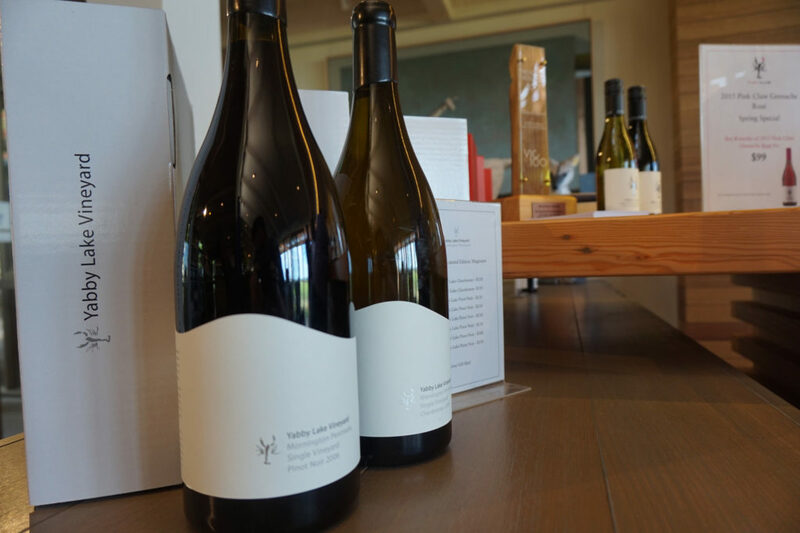 Yabby Lake winery produces some of the best wines in the Mornington Peninsula, and they are about to release their latest premium Chardonnay and Pinot Noir. These wines have historically been trophy-winners and receive plenty of critical plaudits. Comprising six different wines from the 2015 vintage, Tom Carson presented the wines in advance of their public release on November 1st 2016 at a small tasting. The first two wines were the Single Vineyard and Block 6 Chardonnays. 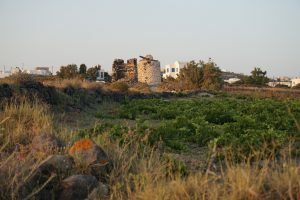 Carson’s largely ‘hands-off’ approach is evident in all the wines, but particularly in the Block 6. The Single Vineyard is balanced and textural with great citrus and mineral flavour intensity. The Block 6 is more aromatic, crisp and has great length, reminiscent of an excellent Chablis. 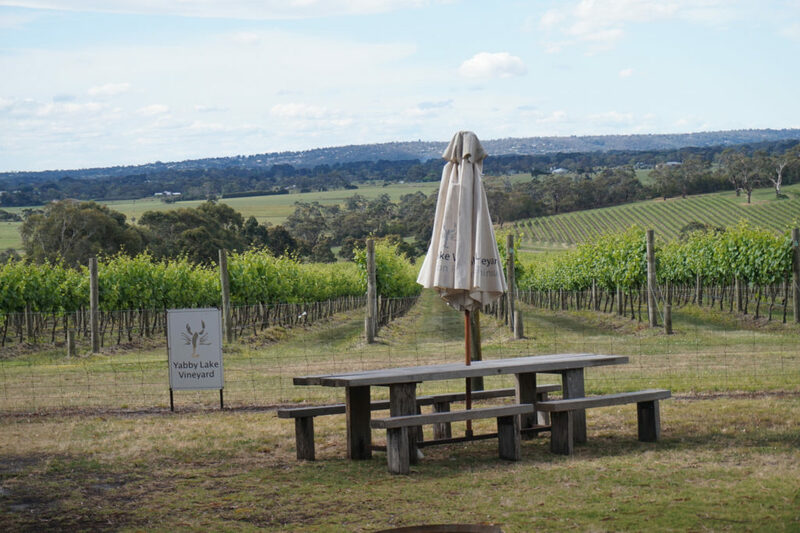 The Pinor Noir section is almost a little overwhelming, as this is the first vintage where three single block wines were produced to accompany the single vineyard Pinot, itself a blend of four blocks at Yabby Lake. This is the most opulent and generous style, with ripe juicy fruit, silky tannin and a long savoury finish. 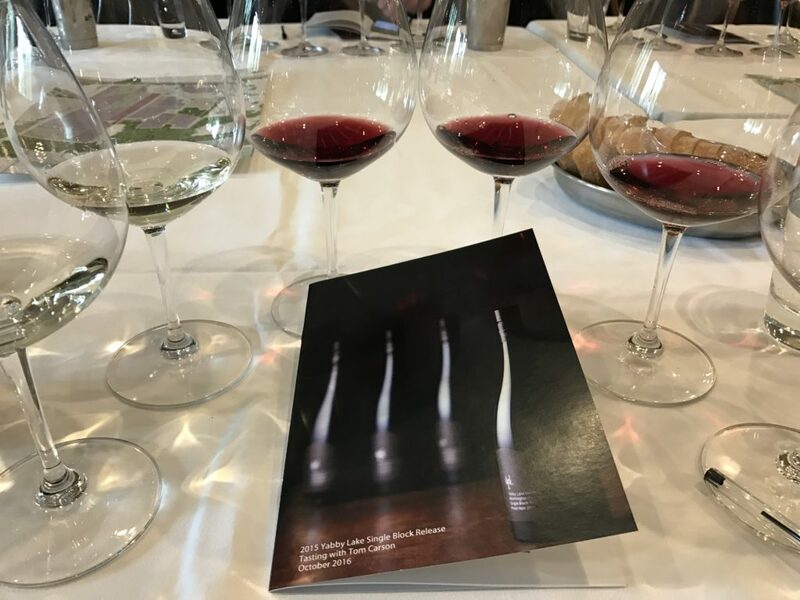 The 2015 Block 1, Block 2 and Block 6 Pinot Noir are all excellent wines in their own right, and each with their own character. The Block 1 Pinot Noir has a slightly vegetal aroma, and earthy, chocolatey flavours. The Block 2 is a structured style with powerful tannins and spicy baked cherry flavours. The Block 6 has delicate floral, bramble and spice on the nose but great texture and weight on the palate. Tom Carson completed the tasting by presenting two museum vintages, as an indicator of how the new releases might look a few years down the track. The first being the 2010 Single Vineyard Chardonnay, which is expressive and rich after six years of cellaring. The 2012 Block 1 Pinot Noir, winner of the Jimmy Watson trophy, is also looking great, with a great balance of spice, fruit and charred oak flavours. Overall the 2015 releases are looking amazing, with great opportunities for collectors but also beautifully approachable fine wines showcasing the best that the Mornington Peninsula can produce. 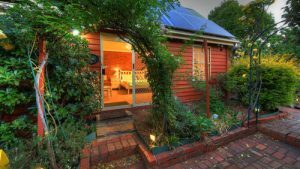 If you would like to visit Yabby Lake or any of the other great destinations in the Mornington Peninsula, give us a call to discuss an itinerary.